Anya Moucha is a communications assistant with Ensia. She helps with everything from fact checking to social media. 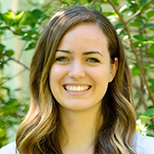 Anya is an undergraduate student pursuing a degree in global studies with a focus on the environment and sustainable development; she is minoring in environmental policy. She is particularly interested in food systems and sustainable cities.